Nine has confirmed the date it premieres a new season of Reno Rumble as 7:30pm Monday, March 21. It will continue Tuesday 22nd and Wednesday 23rd of March -an interesting choice given this is an Easter non-ratings week. If Nine is hoping to gain some traction it may have its work cut out given Seven has traditionally continued My Kitchen Rules through Easter, with the odd night off for public holidays. Six new couples will compete in the ultimate battle of East versus West, with two houses to be fully renovated every week. Each week, one couple from the team with the lowest score will be sent packing. The last couple standing at the end of the series will collect the $100,000 winners’ cheque. Eight deserving homeowners have been nominated to receive the renovations of a lifetime. Among them are families who have endured heart-wrenching tragedy and those who have dedicated themselves to bettering the lives of others. Our teams will aim to give these battlers the beautiful houses they deserve. Scott Cam returns as host, joined this year by Shelley Craft as they coach the contestants through their emotionally tough and physically challenging journey. Two new judges are also joining Reno Rumble: Scottish duo Colin McAllister and Justin Ryan, internationally renowned interior design experts. They will bring their brutally honest opinions, while offering plenty of advice and mentoring, to the Reno Rumble camp. Never afraid to tell it exactly like it is, they are sure to ruffle feathers along the way. 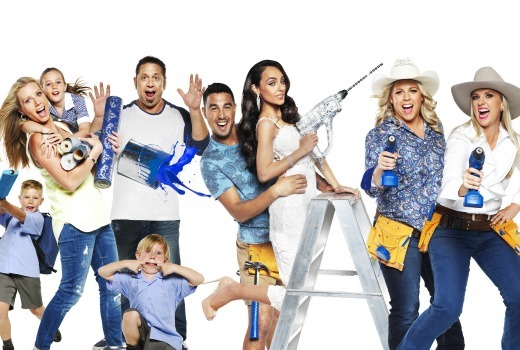 Why do nine have Reno Rumble and I presume The Block is returning this again, surely one renovation per year per channel is more than enough why do they run every programme into the ground.